The festive season is also the perfect time for fishing in northeast China's Jilin Province. And the annual Chagan Lake Ice Fishing and Hunting Culture Tourism festival is underway. Tourists inside and outside the province are flocking to the event. Chagan Lake has been bustling with noise and excitement since the fishing season opened, with skilled fishermen standing on the ice, horses pulling the capstan, local farmers selling fishing tools and gadgets, and visitors joining in on the fun. 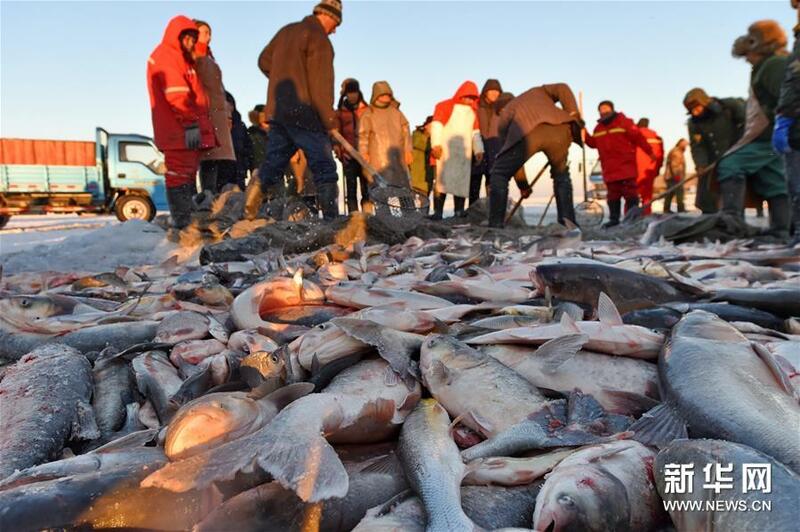 Every year, winter fishing on Chagan Lake has provided a feast for northern people and the region's unique traditional fishing methods have started attracting an increasing number of tourists from all parts of China. This year, besides traditional ice fishing activities, there's also something new. "In the past, activities were all held during the day and tourists couldn't have fun at night. This year is different. We have a recreational zone open in the evening," said Shan Junguo, organizer. Chagan lake is one of the biggest freshwater lakes in China, and the practice of winter fishing here goes back nearly 2,000 years. Each year, Mongolian fishermen brave temperatures of minus 20 degrees Celsius to minus 30, and use a centuries-old technique to catch fish. The ancient fishing method has drawn a large number of visitors to watch the big fishing event, with a lake worship ceremony and spectacular fishing scenes. Chagan Lake has been bustling with noise and excitement since the fishing season opened. "This method is the traditional way to harvest fish. It originated during the Liao and Jin dynasties. 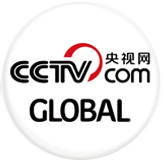 Even in contemporary times, the custom is still popular and sacred for local people," said Li Xuguang, expert. To promote ancient fishing practices and to stimulate tourism, locals have been holding an ice and snow fishing and hunting festival every December for more than a decade. 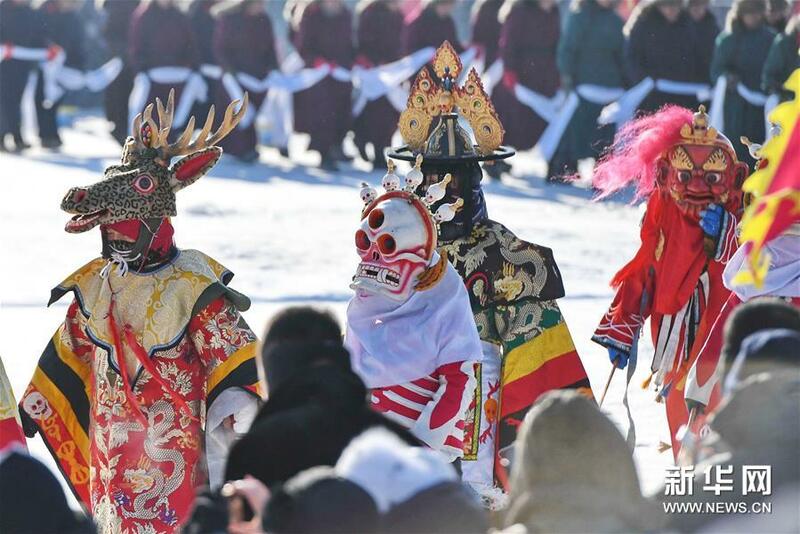 In 2008, Chagan Lake winter fishing was officially recognized as national intangible cultural heritage, and Chagan Lake's tourism area was identified as a national intangible culture park.